In a major encounter with security forces, at least 14 Naxals were killed in Sukma district of Chhattisgarh. Police officials have recovered 16 weapons from the Naxals. As per initial reports, one more operation is underway in the interior area of Chhattisgarh's Sukma district. At least 14 Naxals were killed in an encounter with security forces in Chhattisgarh’s Sukma, police said. According to media reports, 16 weapons have been recovered from the Naxals. Reports added that one more operation is underway in the interior area of Chhattisgarh’s Sukma district. Speaking on the matter, Special DG of Anti-Naxal Operations in Chhattisgarh said that apart from the 14 Naxals killed, 1 area committee member (ACM) with a bounty of Rs 5 lakh was arrested along with a female Naxal, adding that security forces had information of 20-25 people to be present in the camp. The encounter started near a village forest in Miltkatong area when District Reserve Guard (DRG) jawans were out on an anti-Naxal operation. 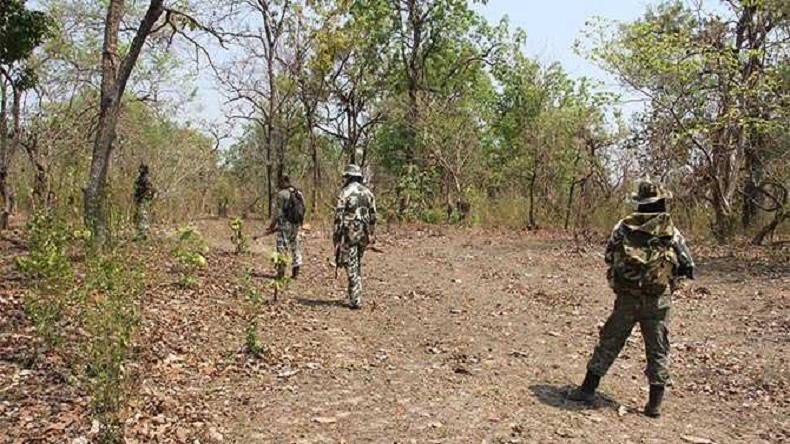 This is the second Naxal attack within a month, on July 15, two Border Security Force (BSF) jawans were killed in an encounter with Naxals in Kanker of Chhattisgarh. The operation was conducted on the basis of intelligence inputs that Naxals were conducting meetings with villagers and trying to recruit them, according to Abhishek Meena, Sukma district Superintendent of Police. In the last months, security forces have intensified their operations against Naxals.